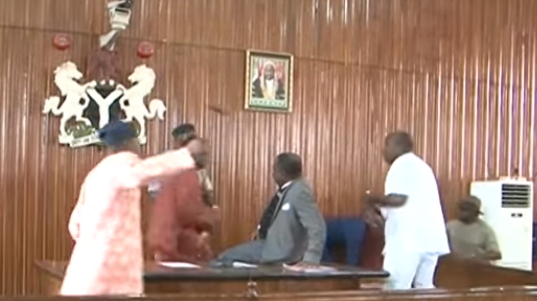 See the viral video of some lawmakers engaging in public fight after the impeachment of Edo State House Speaker, Justin Okonoboh. 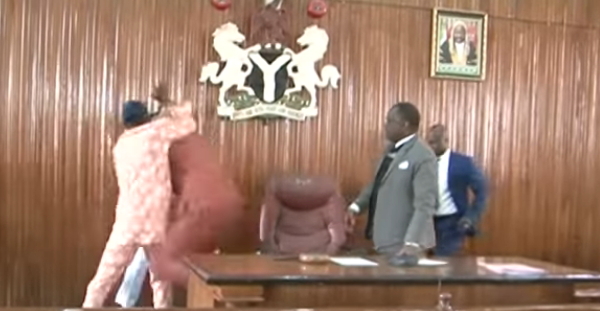 This is what happens when thugs occupy the public office. How do we expect the country to change when elected officials are touts in suit. What is honorable in these people? Of course,such occur in different part of the World,our own is worst because nothing to show they are working for the masses. Thug leaders. My brother Mon, for the first time in a long time, I fully agreed with you 100%. May God deliver Nigerian people from these morons. Motor park touts are better than this people. A disgraceful public display again in our country by some thugs in suit. No love,no unity among them,no plan to establish and support cohesive implementation planing so as to move the Nation forward order than infighting to tarnish our image on the world record,fools. AWON AGBAYA EYAN RADAN RADAN. Who ever literally fights to”serve” when the vote has indicated he should step aside and expects to be believed that it’s love for public interest guiding such behavior? Impeachment as SPEAKER does not mean recall by his constituents or does it? I shy for una a beg. Mchweeeeew! 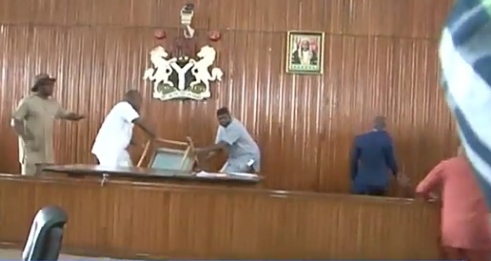 Can you imagine these shameless bunch of miscreants calling themselves a lawmakers. .